A three-branch estate agent in the Home Counties says it is being “held to ransom by Rightmove” which is raising its subscriptions both this year and next. The agency says that the hikes mean that it will be paying £18,000 more over the next two years, for what he believes will be the same package. For one of its branches, the increase will be £400 per month. The agent said he viewed the rises as “disgusting in a tough market” and said he had been told they were non-negotiable. The agent also claimed that firms in their county were being charged more than central London agents. However, Rightmove robustly defended the price rises and said it was changing its packages. Last night a spokesperson told us: “Just over a year ago we let agents know that over the course of 2018 we would be replacing our legacy Gold and Premium packages with the three current membership packages: Essential, Enhanced and Optimiser. 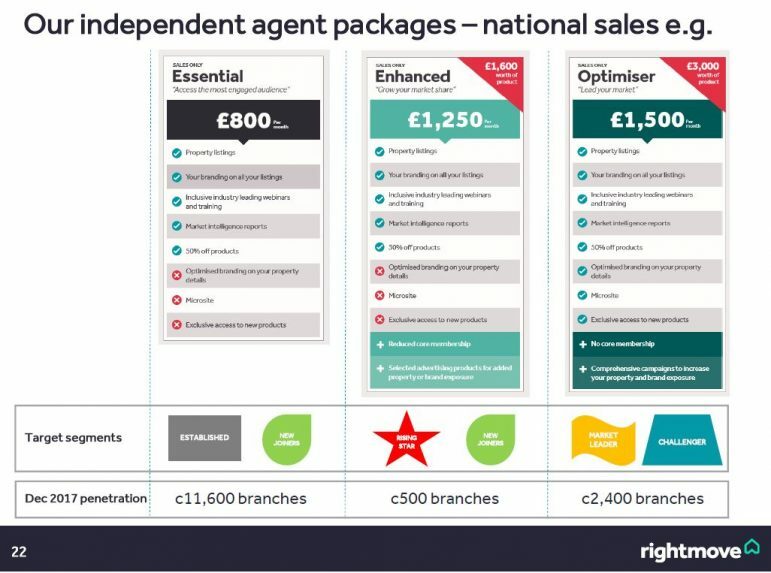 “Each package puts an agent’s brand and properties in front of the UK’s biggest home-hunting audience, gives them the use of market intelligence reports to help them win business, and offers access to Rightmove’s training events. “The Essential package is for those who want to access the most engaged home-hunting audience, Enhanced is for those looking to grow their market share, and Optimiser is for those who already are or who have ambitions to become market leader in their local area. “The package costs reflect the level of exposure that an agent gets on Rightmove. Completley agree. I can’t wait to go back to basics when my contract is up in Feb. I feel gutted for getting sucked in to really really smart sales people. Money best spent elsewhere I think. I think it’s fair to say that Rightmove have (in footballing terms) ‘Lost the dressing room’………. After RM tried to up our fees month before last, we told them to poke it and have reduced to the minimum package. Was on the optimiser before. not affected the amount of leads I’ve had so far, Property views / click throughs are still high, I think it all comes down to getting the price and marketing right anyway. We went for the optimiser to create brand awareness, I’ve now taken the approach to invest in the community too, just as powerful if not more so than anything RM could offer. Our Rightmove account Manager will have opened her inbox this morning to an email from me (and I am sure many other agents) entitled- ”This cow will be milked no further”. Breath-taking arrogance on RM’s part. IMHO and recalling some of the recent profit reports from of the larger firms/franchises (Spicerhaart- circa £130k net profit, and more recently Hunters report circa £236k), it seems to me that RM are entirely oblivious (seemingly deliberately, as RM is not run by ‘duffers’) to the overall precarious financial position of many operators within the industry. The simple fact is, that for many agents the decision will be one of ‘cold/hard’ economics- Is there really the value left in Rightmove for agents to justify significant pricing increases…particularly to the tune of 20%? This is either a very shrewd move to gain from a customer base that will soon shrink to a fraction of the size (of course, those remaining operators will demand significant discounts) , or one of the most misjudged commercial decisions in the recent history of the property industry…let’s see. Hope this is firmly tongue in cheek. I am good thank you, I hope you are well too and enjoyed your time away. Of course, I am happy to make comment on the questions you have raised. Rightmove has looked at our customer packages and has made the decision that a small selection of them who are currently paying a lower than avergae membership cost (including yourselves) are to be subject to a price rise on their package to bring it in line with our current membership costs. The decision on the cost hasn’t been looked at on a percentage basis but at simply bringing all clients in line with the current cost to ensure its a fair playing field. For you that has meant a price rise of £100 per office. As a business Rightmove continues to grow and grow in regards to consumer traffic and client engagement. Essentially the value of the website has increased and therefore the cost to be part of it has naturally increased. You use Rightmove purely as an advertising place for your property; the more client’s we are getting you in front of the more it will cost you. There isnt any negotiation I can offer on the new cost of the membership which has been communicated with you. I have already sent you a meeting request for 26th September so we can sit down and discuss face to face and you can give me your decision then on if you will be keeping the membership? If anyone is inclined to share RM’s response/s to their queries, it may make for interesting reading (or not). So using that logic, if and when visitors drop they will reduce your membership costs? ”logic”….brilliant! I needed a chuckle over my afternoon bowl of spinach. This is (what they call in the marketing ‘biz’) ”a mix of sales bumpf, and a helping of good old fashioned b*llocks”. …and without intending to patronise PIE’s readership- ”cost” and ”value” are two entirely different things. Cost being tangible, value being intangible and conceptual. Is posting the private email above a GDPR issue Property Eye? If you’re having to ask, you really don’t understand GDPR. Something tells me that Seller0169 may be a part of the wider RM social media team (perhaps Seller0169 would be good enough to confirm how you arrived at the assessment that this email is private… and have now sought to confirm this as yet,unproven assumption to this forum’s readership)? Simple answer to all agents, vote with your feet and get on the basic package. The market exposure and branding blah blah you will be sold by Rightmove is ONLY as a result of your content. There is too much data and noise out there now and all the buyers want is a heads up when something meets their needs….then you can be a proper agent! I have been ringing around on some new instructions…all say they saw an alert but have done nothing about it except maybe forwarded it to their other half. P.S. We compared between various offices only to find the packages compared to the fees being charged were different. They were getting away with it as no one was talking and lazy management. Bloated thieves making a final attempt to gourge on the stinking cash cow before it rots. Couldn’t care less about the outcome on the customers as long as they maximise the amount they can extract from them by abuse of their position. If all the agents in each town were smarter and all refused to use RM then the buyers would have to follow the stock. Unfortunately many are too stubborn and are happy to be shafted by RM rather than work with their colleagues in their mutual interest. Rightmove, get over yourself, you’re a web page mate, you know nothing about agency. Many agents are hurting due to drop in volumes and pressure from cowboys, @rightmove have left themselves in a position where all they can do is screw over the remaining customers. Not a good modus operandi for the long term. …or even in the medium-term (?!). Funny isn’t it? Classic business model: Business becomes large and successful; business starts to believe own BS; business starts to view clients as a necessary but distasteful evil, to be told what’s good for them; business wakes up one morning to find another business has overtaken them. I don’t know why people are upset. As an industry we have had a couple of credible opportunities over the years and we did not embrace them. RM have us over a barrel, agents are greedy and cannot work together. SP – A succinct and absolutely 100% spot on statement. It qualifies as Comment of the Decade. I’m not sure agents are allowed to work together, a trumpian act of collusion..
It’s the garbage that is the collective trade bodies at fault to my mind, neither speaking with one voice on behalf of the industry or providing a viable alternate platform..
Half a million people in the industry, PIE’s own newsletter shouting about 20,000 circulation, and what 30 regular posters on here? Cull the herd of local agents. Check today to see if all your competitors with multi offices have a RM and Z account for each branch. If not report them to the portals and they will be paying an extra £1,500 per branch per month. Bit of luck the extra cost will help close one of their offices. You may pick up a couple of extra instructions over the course of a year and pay for your increases. We are regularly reporting other offices to level the playing field. Wow, therein lies the problem. Indeed, I reduced my RM membership to basics to save a mere £50pcm ex VAT. every little helps. Clearly ME130 isn’t running a tight ship! As some one said above, It’s a webpage promoted by the agents who are paying on average £1500 A month. As the market gets tougher and agents start closing shop, more agents will look at other marketing methods. All it needs is a webpage with properties controlled/marketed by agents on a non profit making basis. But until then, Rightmove agents can keep bending over and moaning. Typical comments from all the agents looking only at themselves and not the buyer. RM exists because it is efficient at what it does and makes life easy for the buyer and from the buyers perspective it is impartial. Lets go back to loads of Real Estate agents trying to push a particular property just because it has the highest commission, That is much fairer for the buyer. I thought the idea was to find the right house? not the one that makes the most money. WIth respect i dont think you have misunderstood the discussion, its about EAs advertising themselves through Brand+, MicroSites etc on Rightmove not vendors properties. This has nothing to with Rightmove being good at what they do, it is about the extortionate amount of money they expect agents to pay for it. Essentially all agents do the same with their own websites already. Rightmove has just had a lot of money and clever advertising to position itself in the public eye. One stop shop for all agents. Problem is they are rinsing agents to the point where some cannot operate. It’s not a morally right tactic let alone a good business one as ultimately the bubble will busrt either by RM being moved away from or enough agents going bust it isn’t worth it. Imagine you had set up shop and were getting by but you are now faced with two options, pay through the nose to advertise on a website which is draining your funds or ditch the website and hope the tide of favor turns before you run out of business/money completely. Simply put agents are over a barrel, RM knows it and is exploiting that fact and until agents collectively leave or OTM pulls something out the bag more agents will struggle. As an industry why should we be governed by what is essentially a service to us? We should be in control of this. Every agent has a right to be successful and RM seem to think they are above that. Daylight robbery doesn’t cover it. If RM is charging too much vs the amount of commission an agent receives then of course it is not worth. Not great busienss model. Kee you funds and look for other options that you can advertise locallly. My problem is that Agents want the leads from RM they just dont want to pay for it. Agents want the leads for free so there is bigger margins but the world is a big pace so you will only be paying more money to advertise as the fight will then be with the agent next door.Maybe RM are sening the leads but the agents just are not good at there job or dont have the right proeprties listed? Any agent that had the idea of RM would have started it, the alternative of trying to find a local agent online is outdated, I say embraace portals and make them work by reducing your overheads. You’ve totally missed the point of the discussion…..
Actually I am an agent. I have used various portals and with the amount that I pay portals and the success we have had with portals it is small in comparison to the amount of money we have made through their leads. I dont have the money to market worldwide but i have the money to pay RM or others to do it. The writing is on the wall for Rightmove, greed leads to the downfall of all who take the Mickey and the sooner the better for all I care. OnTheMarket are claiming to be having almost 70-80% of UK properties listed. They have rolled out free subs till April. 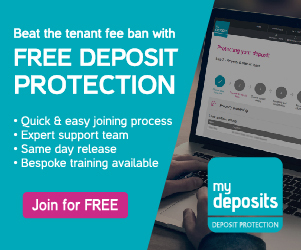 If OTM can achieve 90% of the UK properties by then and maybe give another 6-12 months free subs, you’ll be seeing many continuing the contract if they set a reasonable price. 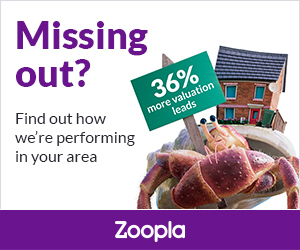 We are seeing leads more of less same or a bit more than Zoopla. It wouldn’t take much for people to be using OTM as their first preference as if the stock is there and the name becomes recognised then it’s an uphill task for RM and Z. I would like to see them increasing prices of just 50% of agents leave them. We Agents provide RM the oxygen… if no more properties by us then what will RM do with it’s No. 1 hits. People will follow the course of their needs..very silly move. They should’ve been decreasing the prices to compete with the onslaught of OTM…OTM play your cards right and you’re gonna be a winner soon! Given they will probably be in line with Gold members thats almost £500 per month. As a second or even thrid portal that is expensive. I guarantee you now, you will not see a mass exodus of subscribers to RM. On top of that they are now a listed company with a duty to external shareholders, they need to be seen to keep increasing fees to keep the share price increasing and divedends. This version of OTM does not work for agents. They are so arrogant. I’m having to close a branch due to the tough market and if that wasn’t bad enough they asked me to send a picture of the empty shop to prove it’s closed. RM share price in freefall. OTM up 10% this morning. The markets can see what’s happening. RM having to raise fees in a tough market to compensate for the loss in revenue from agents cutting back on premium listings. More and more agents are instead using social media and other means for their brand awareness and cutting back to the bare minimum and just using RM for listings…which is what RM was originally intended for. What a waste of time posting a comment that would be heard in a playground. Waste of time posting facts you mean? RM shares are not in freefall – they subdivided them into 10 new ordinary shares at the end of August, so from £49.35 per share they became £4.92 each at the end of trading. They closed yesterday at £4.78. If everyone cut back to basic listings it would cost RM c.£23 million, but that would still leave them with big fat profits ! OTM shares are not traded much, due to the lock-ins affecting a significant number of shareholders, so the price can move a lot on low volumes. Whilst I agree that ‘freefall’ is a tad pessi/opti (dependent on your agenda…) on the ‘Mistic Scale’, near as darnit three percent down in a few days is a chuffin’ big lump of wonga in RMs market capitalisation to find itself bereft of, is it not? Given that the FTSE100 is down 2% over the same period, it’s hardly disastrous – and will be an opportunity for RM to buy more of their own shares. I didn’t say it was disastrous, O17. …just the ones that have less investor confidence than they had before. “I didn’t say it was disastrous, O17″. RM was not down as much as other shares in the same sector (Media) or the Real Estate sector itself – I doubt investors are worried yet ! Every slugger gets their sorry @ss dumped on the canvas at some point, O17. Before that moment – however brief it is – they think they are titaniaum. But the right punch… delivered at the right time… will put down an elephant. Zoopla leads have grown above that of our Rightmove leads but would much rather have some more competition from OTM. Best thing all of these portals could do is remove the ‘date added’ from each listing. OTM does not have the date stamp – we also like the fact our website links are also displayed on everyone of our sales and lettings properties! Most of our properties appear as New and Exclusive, 24 hours ahead of Rightmove. As you rightly point out, some of the annoying “features” – which they uberannoyingly say “enhances the user experience” – of RM/Z are not present on OTM. And OTM has, in my opinion, some plus points over the others. That being said, ‘New & Exclusive’ is a “feature” that I’m not a fan of. Can I ask you to honestly state how many properties you have sold as a direct result of the N&E “feature”? I have been told by my rm account manager that every agent on the old packages will have to move to the essentials package which is £1050pm. For dual lettings and sales. I got convinced to go to the optimiser package a long time ago. 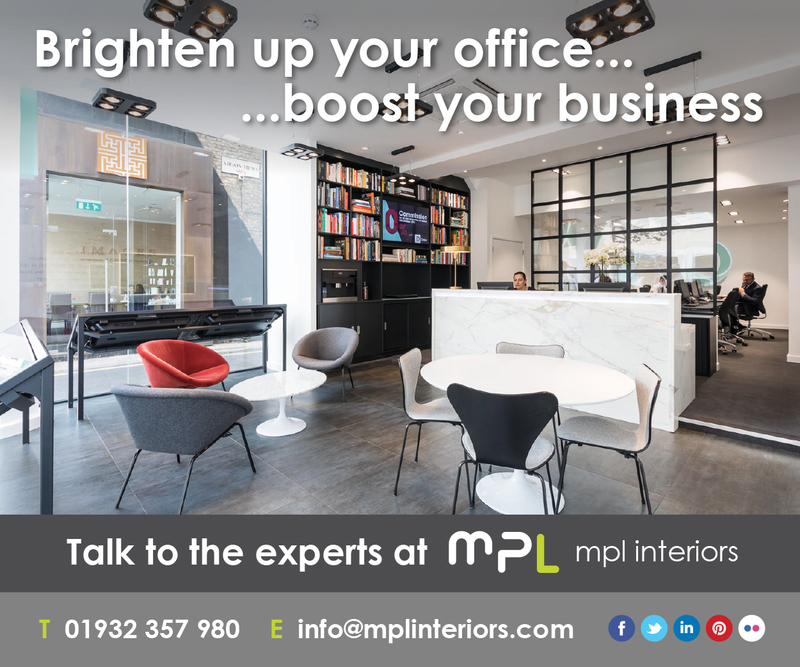 Pay £1225 approx per office, LHP, micro, premium listings, featured agents, featured properties… the whole lot! I too suggested I wanted to go back to basics… they are coming back to me with another confusing package! You cannot hang your head in something you are devoid of. RM has absolute power, which ultimately will corrupt absolutely. Rightmove just want to hide their increases as ‘value-added packages’. So, if the c500 branches using the enhanced package and the c2400 branches using the optimiser package were all switch to the essential package – that’s approx. £23 million they could save (E&OE). Still leaves RM with a big fat profit though! An agent owned portal would be able to survive purely on the income from selling data & other services(e.g. New Homes), making it FREE for agents to list. What an opportunity we all missed with AM/OTM. Continuing the “back of a fagpacket” calculation suggests that to recover the £23 million RM would have to double the very low fees (some on here have said as low as £100pcm, although the average is probably c.£350pcm) the corporates pay for the same service ! I’m amazed by the level of dissatisfaction here. Having all subscribed to newspapers for decades where we had no grip or grasp of the actual return on investment, we know have marketing tools whereby you can see exactly what works and what doesn’t. Surely as businesses you allocate a marketing budget and then decide how you invest it across an array of media. Papers, magazines, portals, own site, Google, social media. We have loads of options. So you make your call based on the detailed evidence now available. The businesses who sell these products to us have to serve their own interests, not ours. If they get it wrong and over price then they lose business – same as we do. I just don’t see what people can complain about. Are we saying if you could get away with charging 1.5% instead of 1% you wouldn’t do it? Of course you would. If enough agents don’t like the RM pricing and downgrade their packages, RM will have to react. Surely that’s just how markets and business work. Also totally agree with the comment that so many agents failed to support OTM that collectively you only strengthened RM position and now reap what was sowed. And you didn’t support it for the same self interest you are knowing criticizing RM for – You felt you didn’t want the extra expense or to risk your market share in your own area. You pounced on agents who pulled from RM telling your clients they were only thinking about themselves. Its double standards. Not saying RM are perfect by any stretch, but the market will force a pricing position on them and us expecting them to do agents a favour is naive. We need to embrace other marketing products and spread our marketing spend to reduce their power. And if we don’t, we have no legitimate business reason to complain IMHO. How many of the people that keep saying is killing the golden goose have actually left RM? I think the first step is cutting to the basic spend. You can then divert the money into other areas of marketing, so one is less dependent on RM. Then the choice of leaving or seriously renegotiating is easier having weaned off somewhat, but it won’t happen overnight. Meanwhile OTM is also growing and notably cheaper. We don’t use Rightmove, On The Market or Zoopla (funny story with Zoopla, they’re suing us for refusing to allow them to rip us off by overcharging us for services we didn’t receive) and regularly pull in more, better quality tenant leads than our competitors who rely on RM, OTM and ZPG as the life blood of their businesses when seeking tenants. We don’t believe we’re paid to put the property on the portals and wait for tenants to find us and as such, by actively seeking tenants, our properties let faster and disregarding everything aside from property advertising, I don’t understand how any of the portals can justify their charges. Where do you actively seek your tenants from? Print media or elsewhere? I use the SpareRoom website to advertise my properties. Most of my letting is by the room but they also do whole properties. My last room took nearly 48 hours to rent but this was in early August so it is quite a slow period. It normally takes less than 24 hours. After looking at your website you have zero properties for sale and 2 for let. Most agents are probably after a little more stock. Brilliant if you can make a living out of that but most could not. Can we now all start thinking about turning our feed off over a weekend. If nothing else it will make the headlines and at least show RM in someway we can band together. Unfortunately some people will do anything to try and win an instruction. I for one is willing to risk it, okay the corporate agents will not do it. We may well lose a valuation. In the grand scheme is it not better to show RM what the industry thinks and shows we are willing to act not just accept them bending us over and not even saying thank you once they are done! Well, here we are again, Rightmove riding roughshod over their customers with another wholly unjustifiable increase. They are never going to stop until they reach £2500 per estate agency branch, their own target which they have promised the market in briefings. As far as they are concerned this was the average spend on local newspaper advertising and they are going to match it. As I have previously said we left Rightmove earlier this year and put everything with Zoopla. In the last month we have also put both our sales and letting stock with OTM on their freebie offer. I can confirm we have seen no drop off in business. 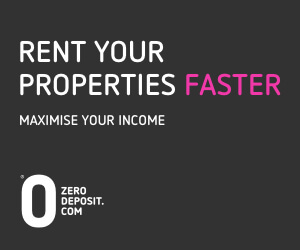 Zoopla are providing all the leads we need with OTM providing a couple of leads a week. In the future I have no intention of paying any more than £400-£500pm to any portal. Until agents start leaving in numbers the prices will go on increasing and do remember that the smaller agents are being doubly shafted by Rightmove with far higher fees than the chains who get much better terms. 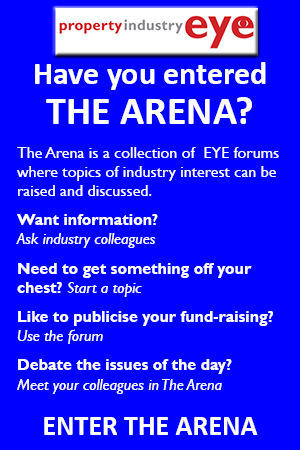 Take a look at how you think the 6 to 12 months will be in our industry and then do what’s best for you. For me it was very straightforward and I have no regrets. Two fingers to Rightmove! I genuinely believe that most agents wouldn’t see much, if any, drop off in instruction numbers or sales by coming away from RM. We all did ok back in the days before portals, I’m sure there are plenty examples out there right now of agents doing it the ‘old fashioned way’ of actually picking the phone up and calling out on their properties to generate business rather than relying so heavily on a portal to produce their leads for them. If they were the only portal then yes everyone would need to be in it to win it, but they aren’t. And whilst I think that you need to have some form of presence on a portal, this doesn’t necessarily have to be RM with their constant shafting of the people that have actually created their business for them. Just be brave folks!! Another great advert for OTM! It is a shame that Hoopla will have to be the first casualty on the way. As I have voiced before, from my perspective of having paid Rightmove the basic monthly fee from Day 1, why oh why oh why! does the UK Estate Agency Industry not simply offer Rightmove a set monthly fee with an agreed inflation linked annual rise. I have watched my fellow estate agents clambering over each other buying successive RM products in order to outdo each other and secure an imagined advantage. RM rightly lapped it up and kept the imaginary circus going – and eventually estate agents squeal the bad man took all their money?! You either willingingly gave it or were suckered into doing so. I know there is **** all chance of this however… every UK Estate Agent is welcome to collectively agree/sign up for a fixed RM subscription of ??? each, per month, then Rightmove can either agree or agents can collectively terminate their contract. It’s NOT a cartel, it’s an industry agreeing a Fixed Fee for a Portal Advertising Service. Sadly Rightmove remain the No 1 Portal however at what point do we as agents actually agree to pay a fixed price across the UK. If McDonalds can have a 99p burger across the UK why can’t Our Industry have the equivalent from Rightmove, which after all is simply a Property Advertising Portal. Or, are we as always unable to agree what’s best for our Collective Industry in terms of an acceptable price point for a Service Provider, instead we plot & scheme, we stumble along with OTM V1 & 2, Zoopla etc….. and in effect our inaction seals our own fate? What we need to do is appoint a spokesperson for the industry. We get as many as possible to sign up to this ‘NEW BODY’ of estate agents then we send the said individual to negotiate on all our behalfs with RM. The franchise and corporate members get RM for a teneth of a cost of what we pay. IMHO, the only hope that such a move has to succeed is based in the group’s fervent willingness to actually cease using RM altogether when RM, inevitably ”calls tge groups’ bluff” (which they will). In that event, and including a short hiatus from Rightmove for those agents within such a group, would the strategy be effective. It is seemingly clear from the response to my queries (posted a few comments above), that our Account Manager does not believe that I have prepared my firm for the eventuality that we cease to use RM (either indefinitely, or for a short ‘break’!). Count me in…where do I send our details…. We went basic on all branches, no change to our market share at all, we are still the most expensive agent in our area and delay our feed to rightmove. Agents need to build their own mailing list and not rely on a company that only looks after it’s own shareholders so much. Slightly different tack on this, and apologies if it’s my own ignorance as I’m not an Agent. If the Rightmove packages are as simple as package A, B or C shown in the article why is there any confusion if an Agent wants to reduce their package at the end of their agreement term. If you were paying the ‘enhanced’ package at £1,250pm and want to reduce to the ‘essential’ package at £800pm as long as you do that at the end of your term surely it’s as simple as that – isn’t it? Every Agent I’ve ever spoken to, and some have said it in the comments above, always say well if you take ‘x’ away then your package ‘y’ becomes more expensive. Is this a legacy issue of old rates or RM confusing the picture deliberately? As I say the options seem pretty clear in the packages above but the reality seems to be different. Yes the legacy rates are being withdrawn so agents are finding a whopping increase. On top of the usual yearly increases. The general public couldn’t care less what package you have they are only interested in properties in their price range and location with pictures and a description. If they want any more information they either call the agent or search for the agents web site and look there. WHY then is anyone paying more than the basic package? To be frank most people will look at both RM and Zoopla if seriously looking so madness paying to put your properties on more than one portal. As a member of the public and currently searching for a home this is what I do. I am only on this PIE website to learn about the property management domain due to a new job focus and have never worked as an agent. I can see a time where the public have to make a few more clicks or have a few more bookmarks, I don’t feel sorry for them, I’m one of them myself. RM isn’t an Amazon, it isn’t an Apple or any such company….its an updated newspaper and will go the same way as the papers as and when agents start pulling away…. which they will, just give it time…. I am a landlord and not an estate/letting agent. When looking for properties to buy, I look at RightMove AND Zoopla. I skip over all the featured property ads as they appear in the list further down, in the correct sorted order. I suspect that 99% of people looking for a property to buy look at both of these portals and I do not understand why agents are still using both of them but had assumed it was because they are both very cheap. When looking for an agent to sell a property, I didn’t look at either RM or Z, I looked at Yell(ow pages). 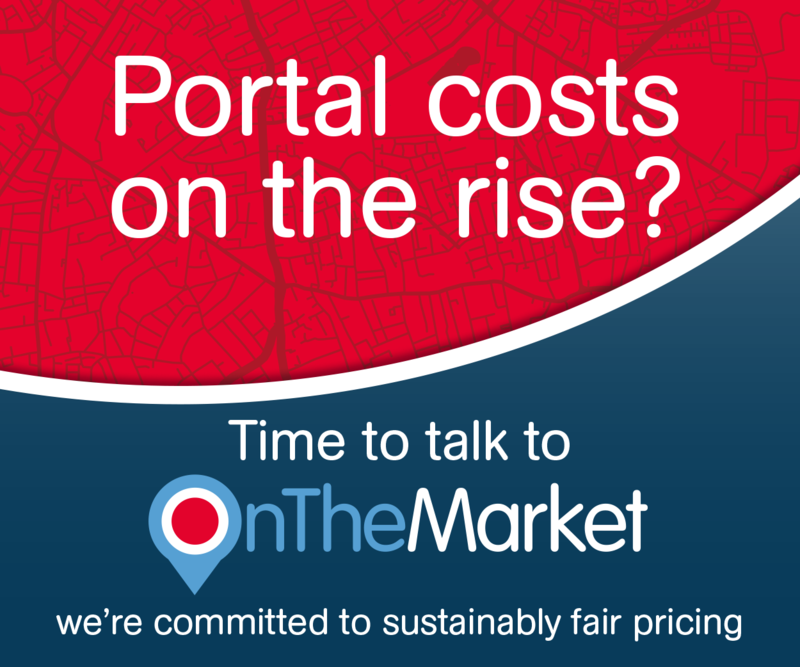 If I was to consider looking at either of the portals, I would use a large presence (outside the standard listings) as a reason NOT to use the agent – I don’t want to pay for their brand advertising. Thank you for taking the time to post. Your ‘outsider’ view is appreciated – and I would respectfully suggest something that some Agents wouldn’t (or worse, won’t) consider as important or relevant. I’ll be back. Hope you will be too!